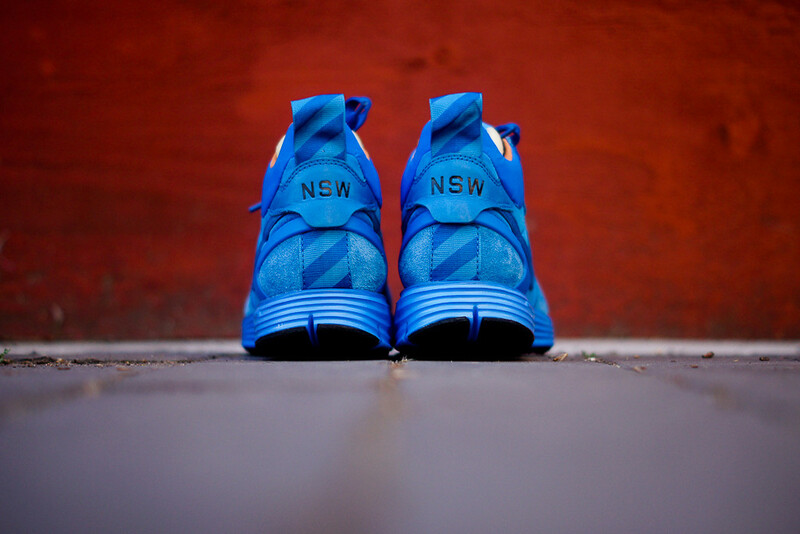 The vintage-inspired Lunar Solstice Mid SP is now available at NSW retailers. 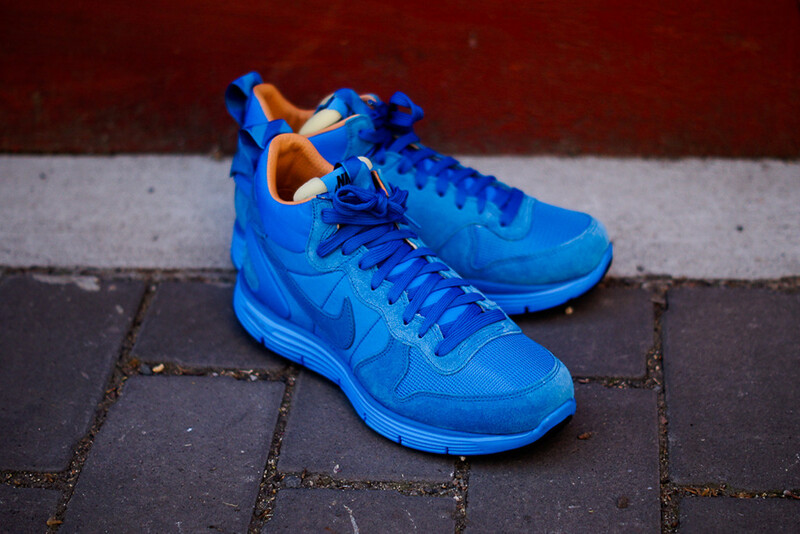 Nike Sportswear continues its vintage-inspired creations with the Lunar Solstice Mid SP, an interesting hybrid model available now at NSW retailers. 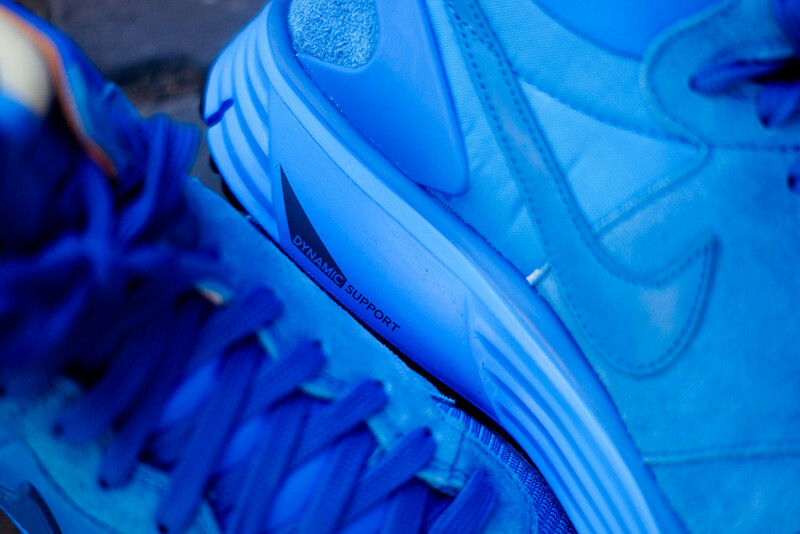 Borrowing design details from the Nike Equator, the shoe combines a Solstice upper with a Lunarglide-style sole and heel clip, all dressed in vibrant court blue. 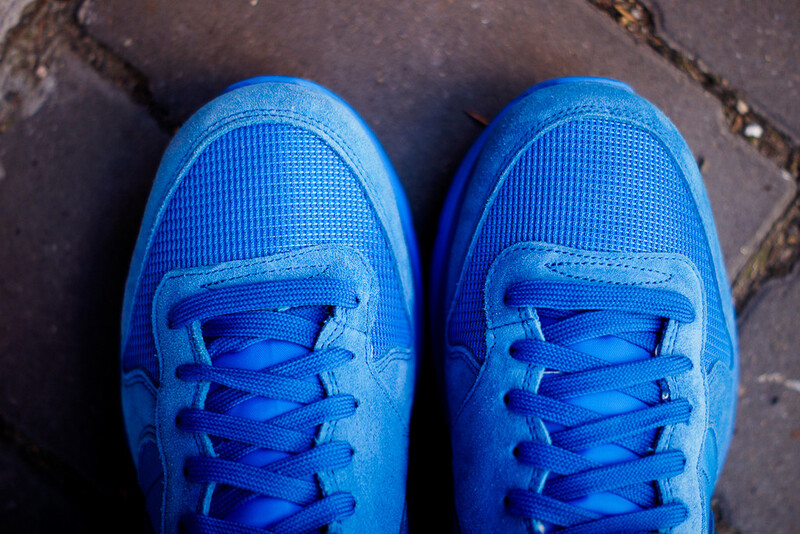 Additional details include an exposed foam tongue, Dynamic Fit technology and a premium leather lining and footbed. 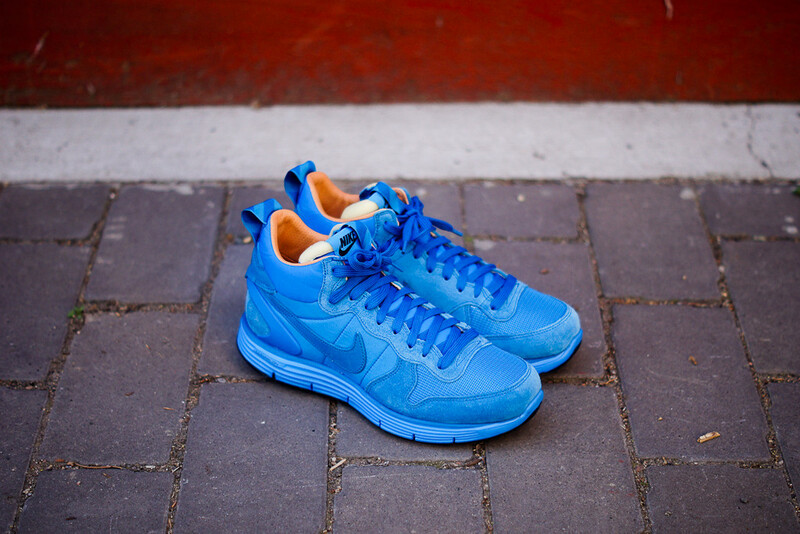 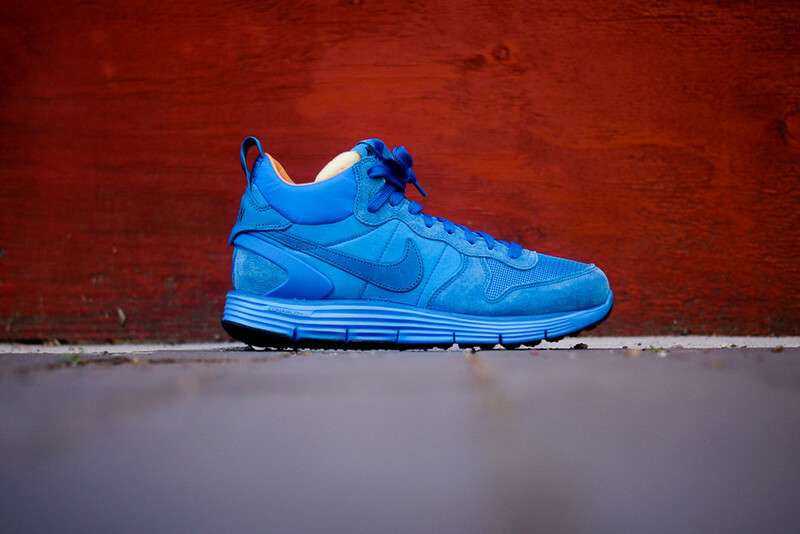 The Nike Lunar Solstice Mid SP in Court Blue / Del Sol / Marina is available now through Nike NSW accounts, including KithNYC.